One of the nicest features of SharePoint which I have come across is the geo-location field. You can use this to show a location on the (Bing) map. This field is added to your SharePoint list (figure 1 below) and also, you can create a specific geolocation view (figure 2, very nice!). And it is a standard SharePoint metadata field. But wait…..
Where is it? There is a metadata field called “Location”, but this isn’t the one. Where the hack is this elusive field? Well…….it’s not there by default. You will need to add this using Powershell. And in this case, I will add it to my Office 365 (SharePoint Online) SharePoint site. 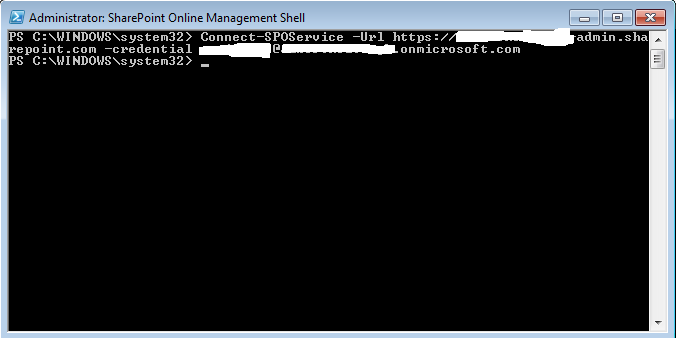 Ok. Now start the SharePoint Online Management Shell as an administrator! This is important. Don’t forget this. Now the second stage of our exercise. I will connect to my tenant. Ok. Now we can add the geolocation field to the SharePoint site. You will need this code for this. Thanx to several smart-people for supplying this code-snippet. Now, the geolocation field is added to the list and you can create the geolocation view. Now. The Bing Maps Key. In SharePoint Online, you should not be prompted with the “Invalid credentials” notification. However, I did get this message – as you can see in the figures. But this might be because I use a very small scale MSDN Office 365 tenant. So I really guess that this is due to the limitations of my tenant. Anyway: try this. It is really nice!